Ronie has a deep love and passion for people, especially hurting people, which is why she pursued and obtained a B.S. in Psychology from Liberty University. 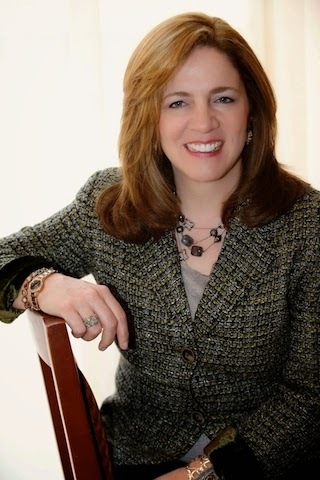 Ronie speaks nationally, volunteers with writer’s organizations, including American Christian Fiction Writers (ACFW) and My Book Therapy, and mentors other writers. You can find out more about Ronie from her website. I’m the daughter of an Canadian-American (my dad’s father was born in Vermont, his mother in Canada, and he as well) and an Irish immigrant (my mother immigrated to America at 19 from Dublin, Ireland). I’ve been married for nearly 25 years to the most amazing man I’ve ever known, and we have four children, a Maltese Menace and a retired military working dog. All my life, I wanted to be a secretary (check! ), teacher (check! ), and a pastry chef (my waistline would say I accomplished that!). Becoming a writer was one of the most beautiful, unexpected, and “riskiest” careers I’ve ever pursued and held. When I’m not writing (or homeschooling), I will normally do something like gardening, home decorating (love DIY stuff), or working out at our Tae Kwon Do school. It was a progression of interests, I think. Believe it or not, three of the first ten books I wrote (which shall remain lost to the annals of history, thankyouverymuch) were all historical. I loved the propreity of older times and customs. And while all my books have a thread of romance (I’m a hopeless romantic and proud of it! ), I realized that every one of my stories had a military character. But it wasn’t until my life intersected (marginally) the family of a Navy SEAL, so riddled with anger and post-traumatic stress, that it shattered them. Watching that tragic, real-life story unfold set in me a deep conviction to never again pen a military story unless I showed the toll these heroic men and women in uniform deal with everyday. Through that, my entire course for writing was set with military/paramilitary fiction. At the time, the toughest cut me deeply, but I can now recognize that as something said in ignorance. Over the last few years, I had author friends inform me that my writing was “too violent,” that I needed to scale it back. Those words crushed me at the time. But it did not deter me from writing the kind of stories I felt God has called me to write. I now recognnize that those “friends,” though they thought they were doing me a favor, did it in ignroance. Their mission in writing was not the same as mine. One is writing romantic comedies. We should learn, as authors, how brutal this industry is without scolding one author. We should be each other’s champions to reach a lost, hurting, dying world. Years ago, a situation came up in a small writing group that I was a part of. I was taken back by it, and wasn’t sure what to do or how to respond, so I asked some close friends how I should handle it. I followed their advice—but in the end, it caused a deep wound in another writer, and if I could, I would go back and change that. I hope that ten years from now will see me firmly established in my genres (suspense and speculative). Since I started, I held the dream to write one suspense novel and one speculative novel a year, and God has made a way for that to happen. It is my prayer that I could continue to write to the wounded out there, help them see the hope of Christ. Also, I would hope that I am able to continue to give back to the writing community as a teacher and mentor. YOU CAN WIN A COPY OF FALCON! JUST LEAVE A COMMENT, ALONG WITH YOUR CONTACT INFORMATION. WE'LL PICK A WINNER NEXT WEDNESDAY! I am sooo looking forward to reading this one. I loved Ronie's "Discarded Heroes" series. Speaking as the wife of a retired military man, I can say that I love the realism that she brings to these men and women who valiantly serve our country. Thank you so much for the interview and giveaway! Thank you, Suspense Sisters & Nancy, for inviting me over and featuring FALCON! Oh this sounds like such an amazing series!!! Great interview!! Love her books! Can't wait to read this one. I love all of Ronie's books. She has it all = mystery, suspense, romance. She keeps me on the edge of my seat. Thanks for a chance to win this book. I have the other 2 in the series but have not read them yet. They are on my list to read next. Just start reading Trinity from A Breed Apart series and really enjoying it! I'm kind of surprised that her writing was criticized for being too violent. I think she shows what happens without the action being gratuitous. If it was downplayed, it wouldn't seem realistic in my opinion. Anyway, I'm working through this series and will continue into the Quiet Professionals series next! Would love to win a copy of Falcon! Finished reading Hawk this past week. This is a new to me author that I am excited at the thought of having a chance to read her books. I enjoy these types of books and they have been recommended by different review sites. Thank you for the giveaway opportunity ! I love her books! It's hard to choose, but I think the Discarded Heroes series is my favorite! Thanks for the interview and giveaway! I love your books and I loved getting to know you better through this interview. Thank you for sharing. Count me in the drawing. lill dot kohler at gmail dot com. 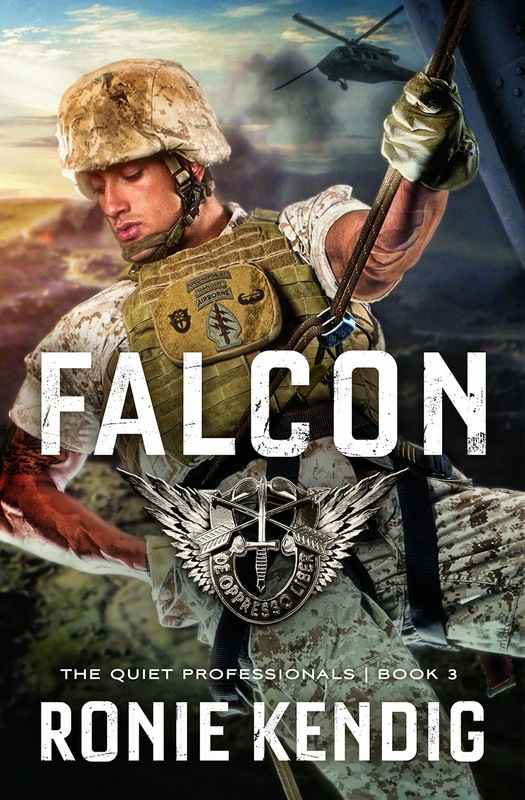 I have thoroughly enjoyed all of Ronie's books and I'm sure Falcon will be no exception! Thanks for the giveaway! I love learning about my favorite author's lives! Looking forward to reading Falcon! love a good suspense! have never read one by Ronie, but it looks like one I'd like to try! Thank you for introducing me, and others, to life in the military, along with Christian ways to handle any kind of life. Thanks for the mystery and romance evidently included! I would love to win a copy of this book! Thank you for this opportunity! Looks like a must read. Bonnie Traher momtr3@yahoo.com If you need regular address let me know.